One size hasn't fitted all in IT Project Management for many years. However, five years back a project team using Waterfall on a project that was more suited to Agile might have got away with it. I mean, perhaps they wouldn't have leveraged all the potential, they may, for example, have been slower coming to market than they would have with Agile but broadly speaking they could deliver a successful project. Now, as projects become increasingly complex and more closely aligned to business goals, choosing the right methodology REALLY makes all the difference. The choice of project management approach (how a project is planned, executed and delivered into service) can have a huge strategic impact. Choosing the wrong project management methodology is often mentioned as one of the main reasons why a project has failed. In these cases, teams will usually have opted for one single methodology and stick with it as an end to end solution. Actually, a hybrid combination of elements from a multiple of methodologies might have worked better. Project management methodologies are often selected at a broader organisational level with little thought given to the specifics of an individual project – that has to change. Successful teams are finding that it's not just that one methodology won't suit all projects in their portfolio, it's moreover the case that one approach is not best fit for all the individual elements of a single project. A recent report from PMI points to growth in the volume of IT Projects being delivered using hybrid methodologies where you take parts from different methodologies, elements that have a proven track record of securing successful delivery and combine them to create a more efficient delivery system. 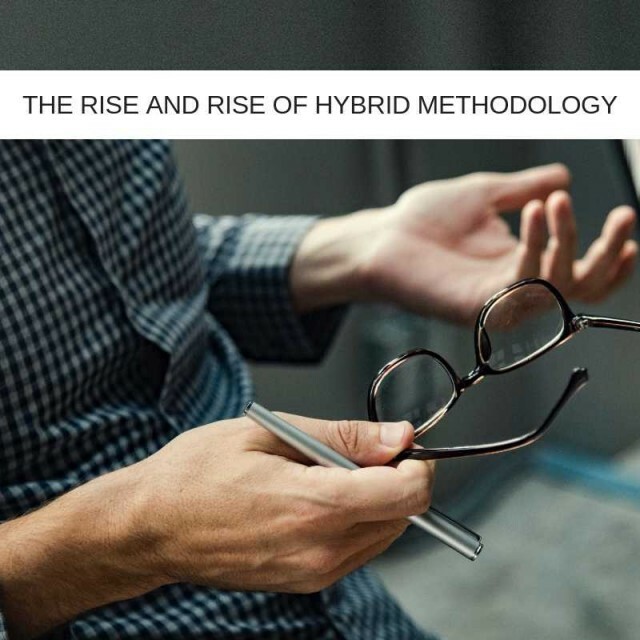 This backs up what we are seeing and the rise of hybrid methodologies in IT Project Management is very exciting because the potential for innovation grows exponentially! This growth in adoption has resulted in a growing demand for Project Managers with the ability to apply a varied approach but they cannot always be found by looking in the usual places. Many businesses are looking to a trusted Project Management as a Service partner to provide a more diverse outlook. The PMaaS market, by its nature, has an abundance of talent and solutions ready hit the ground running. The problem is that often methodologies become hard-wired into the way a project team or individual works or the methodology becomes such a comfort zone that teams are reluctant to try new approaches. I once had to referee a heated debate between two project managers who were coming at the selection of methodology from very entrenched positions. It was like they were discussing their religion or their allegiance to football teams rather than how to get the best out of an IT Project. A Project Manager I know called Kev compares this entrenched position to his leisure activity to illustrate the limitations. Kev is a triathlete and he says that sticking blindly to a methodology is like identifying that the way to win one part of a race is the key to winning them all. "The bike for example, would help you speed past the other athletes in the running bit, but then you'd enter the lake and sink like a stone." 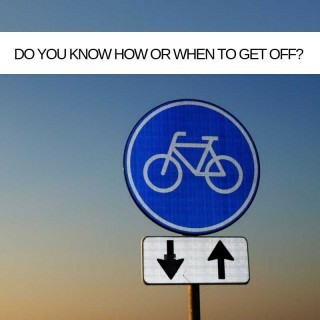 There's a reason why you pack trainers for the running part, a wetsuit for the swimming bit and Sudocrem for the cycling! They work best for those individual disciplines but as total solutions for the end to end race they'd be, at best, less effective or, at worst, useless. If this sounds familiar, from an IT Project Management perspective, using PMaaS resources can certainly help. I saw a client apply this thinking to an IT Project recently, using PMaaS talent and a hybrid of (mainly) Waterfall and agile. They used waterfall to map the project's path, starting with establishing the project's requirements and specification and through the development, testing, and delivery stages. For all of this Waterfall was king but then they distilled the project down to its constituent component parts and found that for these Agile was more effective. Agile was deployed to develop, refine and then release each individual component and, because IT Projects are like Russian dolls, most components had a layer of components within. Agile was effectively used to deliver these too. The use of Agile clearly accelerated delivery of the component parts and played a huge part in improved quality standards too. Each component part of the project was 'chunked' into tasks, given a timescale and Agile was used to complete and then release each component, in most cases to be used as the foundation for the next phase of component tasks. Waterfall was used to knit them all together, manage dependencies, co-ordinate 'high level' tasks and deliver the overall project. Using a hybrid of methods, the client delivered a higher quality project to market and much faster than anticipated. Even better, during the course of the project there was disruption in the market from a competitor and, thanks to their use of Agile, the team was able to potently react and respond. My colleagues and I have written many times over the years about the need for more joined up application of project methodologies and I am thrilled that use of 'hybrid' approaches is on the rise. Letting go of tried and tested methodologies and mixing things up is a big step away from the comfort zone for many but the results are so worth it.